Our love story began over a plate of pancit. For our first date, Third, my husband invited me to a local panciteria for a bite of Tuguegarao City’s famous Pancit Batil Patong. We clicked. We spoke the same language. We shared the same passion and interests. We both love Batil Patong. The pancit, historians say, can be traced from our Chinese ancestors’ influence, which is deeply embedded in our culture. Every region boasts of its own pancit version. The ubiquitous pancit symbolizes good health and a long, prosperous life. Hence, the pancit occupies a place of importance in every feast. The Ibanags have successfully concocted the Batil Patong according to local ingredients and tastes. The Batil Patong is a complete meal in itself. Cooking it is fast and easy. It is affordable yet you get a heaping plate of Batil Patong goodness all the time. Tuguegarao City’s panciterias are like the panciterias in Manila in the 1800’s where Chinese noodle merchants set up low tables along the streets and markets selling their noodle dishes. Tuguegarao City is home to a plethora of flourishing panciterias. The local pansitans look like old sheds with dirty kitchens. But the shabbiness of the surroundings goes unnoticed once the Batil Patong is served. The explosion of flavors fills the senses from the first bite to the last morsel. My husband and I would look forward to an exciting Batil Patong exploration when we discover the next panciteria to add to our roster of favorites. It has become an essential part of our love language. It is our favorite unsolved mystery. We wish to unravel what’s brewing behind the silent walls of the panciterias so there may be a new twist to their product. The cooks guard their cooking secrets zealously though the Batil Patong basic cooking anatomy is simple: the pancit miki is cooked on “nuang” (carabeef) or pork broth. 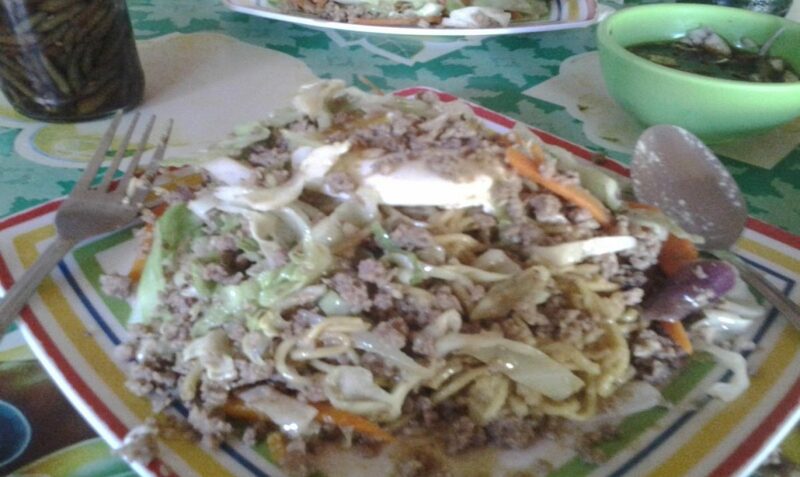 Then, the pancit is topped or “pinatungan” with poached egg, sautéed vegetables, and ground carabeef. “Batil Patong” is derived from “batil” which means “to whisk or beat,” and “patong” which means “to put on top.” The Batil Patong comes with a bowl of broth with “binatil” (whisked egg). Another fun part of our ritual is mixing condiments of soy sauce, vinegar, “calamansi,” hot chilis, and chopped onions with the pancit. 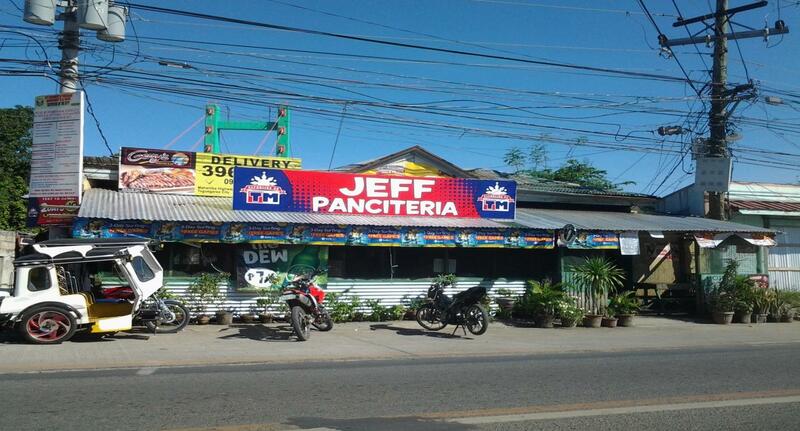 The panciteria in Tuguegarao City is a rapidly growing industry. The opening of a new pansitan is welcome news to everyone in the city. Each panciteria offers a variety of ingredients in their “sahog,” thus adding versatility to the Batil Patong. Cooks vary their Batil Patong toppings with “longganisa,” hotdog, “toge,” carrot strips, cabbage, celery and “kabatiti” (sponge gourd). Sometimes, customers buy vegetables from a nearby “talipapa” (fish market) to add to their Batil Patong toppings. Instead of “nuang” (carabeef), panciterias also top their pancit with ground beef. Local restaurants followed suit with Batil Patong on their menu. Night time signals the emergence of “ambulant” panciterias that dot the city’s Calle Commercio. Vendors turn on their stoves and get their wok ready for motorists, last-minute shoppers, mothers and fathers hurrying home with their “pasalubong.” Tuguegarao City night life is relaxing. I look forward to motorcycle rides with Third along the city streets so we can join other Batil Patong patrons. Our Batil Patong reflects a festive combination of the diverse Cagayano culture. Tuguegarao City, Cagayan’s business hub, is a melting pot of different cultures from the native Itawes and Ibanags, Malawegs, Negritos, the migrant Ilocanos, Tagalogs, Pangasinenses, Muslims, and Visayans. The Batil Patong is our culinary masterpiece, and a symbol of our rich culture and tradition. Our fierce and fiery love for our pancit is manifested in every beat of our Pavvurulun “afi” (fire) Festival. One of the highlights of our celebration is the Pancit Batil Patong Festival where some of Tuguegarao City’s panciterias battle for the title of serving the best Batil Patong in the city. Jeff Panciteria is a consistent contender to watch out for in the Pavvurulun “afi” Festival, particularly during the most awaited Pancit Batil Patong Festival. However, pancit lovers will always proclaim their personal favorites. After our Batil Patong escapades, Third and I still had yet to agree on which pansitan serves the yummiest pancit. I say, the exciting thing is the never-ending quest for something new in the Batil Patong. “Pancit tayo,” was Third’s last text message to me that fateful day. Then, he was gone. Every time I eat Batil Patong, I remember him. I miss our pancit moments. He would have loved going out for a ride to the next pansitan. I wish there are panciterias in heaven so he would continue to enjoy our tradition. But life goes on. The Batil Patong represents many beautiful moments we shared together. So pass the “sibuyas” and the “calamansi,” please. Mix in the chilis, too.